2. Under Advanced activate Policies and add one (+). 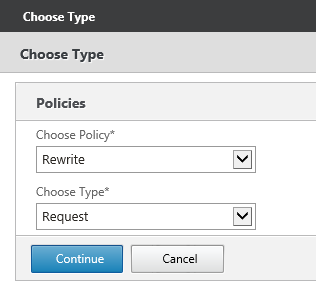 4.Select “+” next to “Select Policy” to add a Policy. 5. 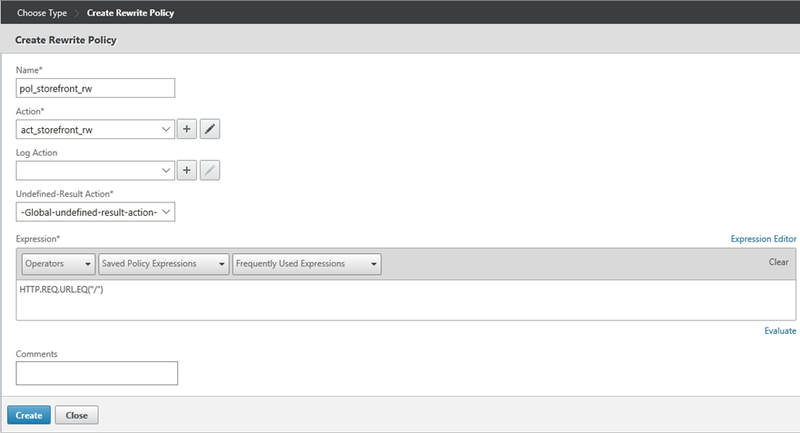 Enter a Name for the policy and add a new Action (“+” under Action). Expression to Replace with: “/Citrix/StoreWeb” (If you are not using the default StoreWeb Url replace this with your Url – but only the folder part). 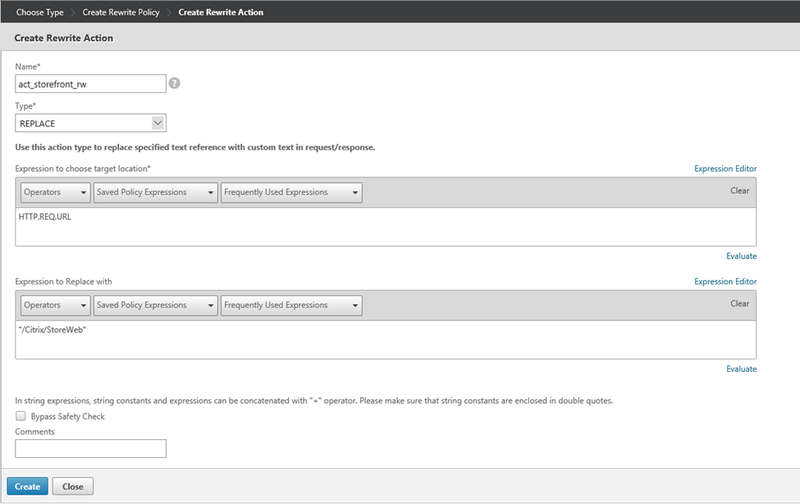 Confirm the settings with Create. 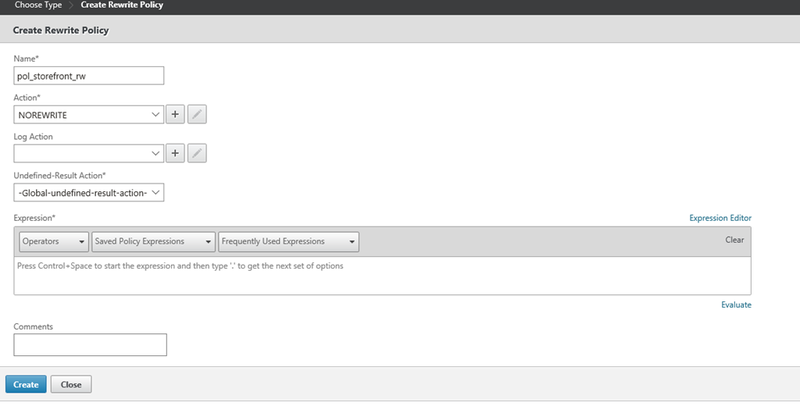 To create the Policy with the configured action press Create. 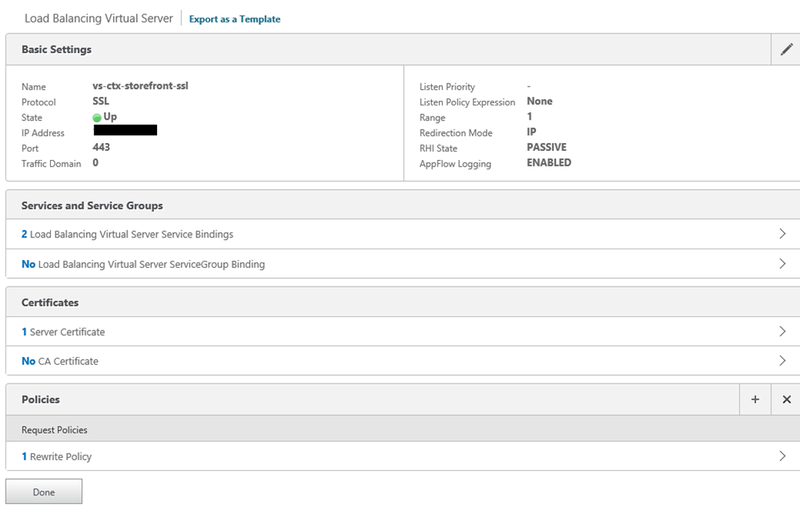 8.The last step is to bind the policy to the Virtual Server (Bind). We do not have to configure anything like Priority because for this only one policy is necessary. 9. That’s it – the policy is now bound to the Virtual Server and users are automatically redirected to the StoreFront Website.